I had killed a man, for money and a woman. I didn’t have the money and I didn’t have the woman. 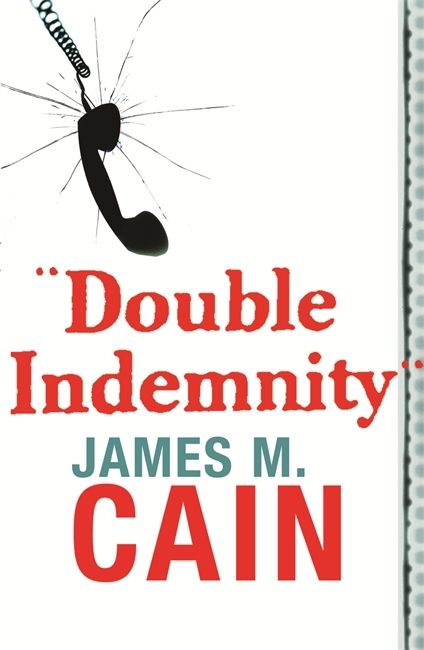 When I heard Fred MacMurray say that line at the beginning of Billy Wilder’s classic film noir, Double Indemnity (1944), I didn’t realise that it was one of the few instances in the film where quotes were taken directly from the pages of James M. Cain’s novel. For me, these two sentences really sum up everything about film noir, and go someway towards a definition of the genre. That film was my entrance into the world of film noir, so it was only fitting that the novel upon which it was based should be my entrance into literary noir. 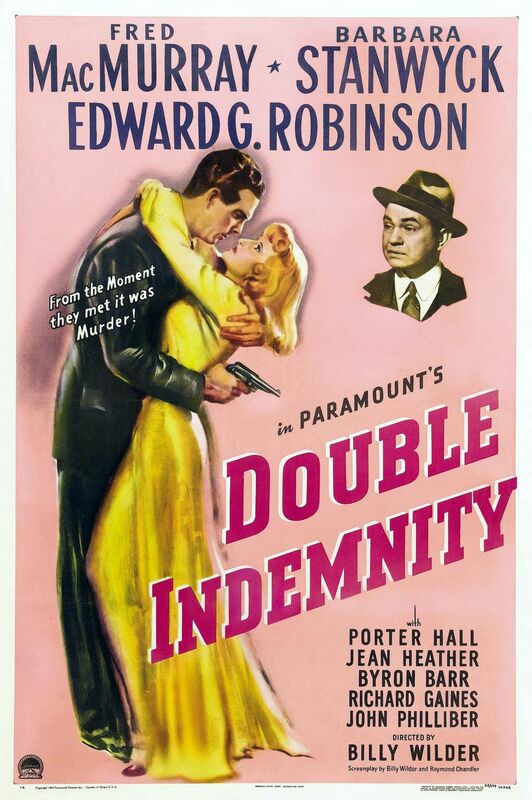 Double Indemnity (1943) concerns itself with a plot by insurance investigator Walter Huff and the femme fatale Phyllis Nirdlinger to kill her husband for the insurance pay out, which will be even more if they manage to make it look like an accidental death on a train. These deaths are so rare that Phyllis would get a double indemnity payment. As Walter falls under Phyllis’ command due to lust, things get more and more dangerous, for all three involved. The film version of Double Indemnity is one of my all-time favourite Hollywood classics, so I wanted to read the original novel. The first impression I had when reading the book was just how closely Billy Wilder and Raymond Chandler had adapted it into screenplay – that was, until Walter and Phyllis kill her husband. After this point, the novel veered off the expected course for me, and that was wonderful. Having seen the film many times I didn’t think I’d see anything new in the novel, but to have a completely different ending was a wonderful surprise. Those who worry about that, having seen and loved the film, shouldn’t, as the ending is still very much in the spirit of the characters and is a logical conclusion, as is the film’s ending. James M. Cain’s story is so well plotted and crafted it’s hard to fault it. He is truly a master craftsman – every event in the story feels like a logical outcome of the character’s innate desires and lusts. His characters are brilliantly drawn and complex. Walter and Phyllis are wonderfully written, and you really feel the sense of doom that falls over their relationship. While Keyes, who was played by Edward G. Robinson in the film, has a more minimal role in the book, Lola, Phyllis’s step-daughter, has a much more expanded role. Her affair with Walter is captivating and heart-breaking. Cain’s spare, pulpy prose is the essence of noir, and it drives the novel and it’s characters foreward with drama and strength. A novel that would be 300-400 pages in the hands of any other writer is stripped down to its essence by Cain. The writing is utterly captivating. 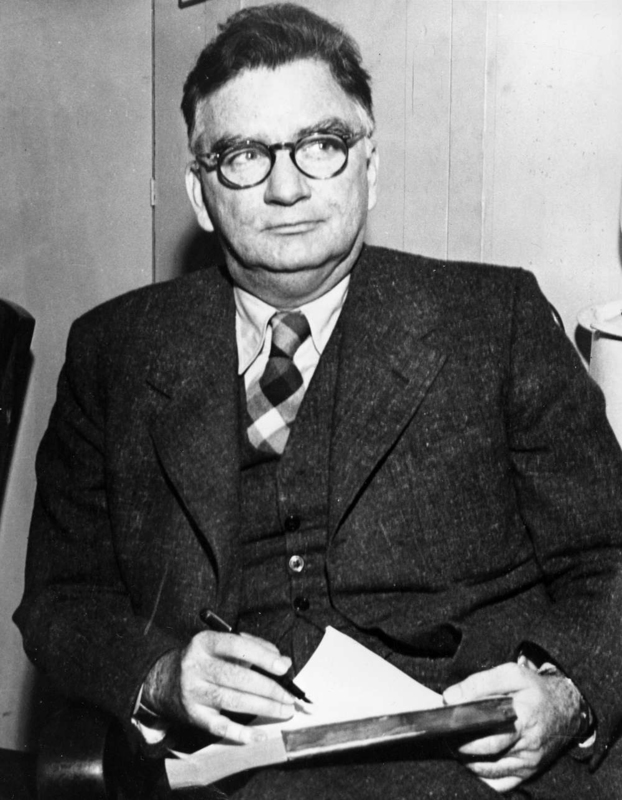 James M. Cain is considered one of the founders of crime noir fiction. After reading Cain’s novel I am very much interested in reading both more of Cain’s oeuvre and literary noir in general. The Postman Always Rings Twice (1934) and Mildred Pierce (1941) are the next books I wish to read by Cain. The Philip Marlowe novels of Raymond Chandler, particularly The Big Sleep (1939) and The Long Goodbye (1953), as well as the novel Galveston (2010) by Nic Pizzolatto are also on the list. I cannot recommend the novel enough, both for those who love the film and for those who like crime fiction / noir in general. It’s a nasty story about nasty people, and in that respect ticks all the boxes you could expect from a novel of it’s kind. Recommended. Thanks for posting this review. This sounds like a fascinating read, especially if Cain has the ability to boil things down to their essence. Double Indemnity is one of my all-time fave noirs, and this promises to be an interesting read. No worries! Let me know what you think if you do read it. It’s a really great book, and you’ll love it for sure if you like the film – both the similarities and differences!